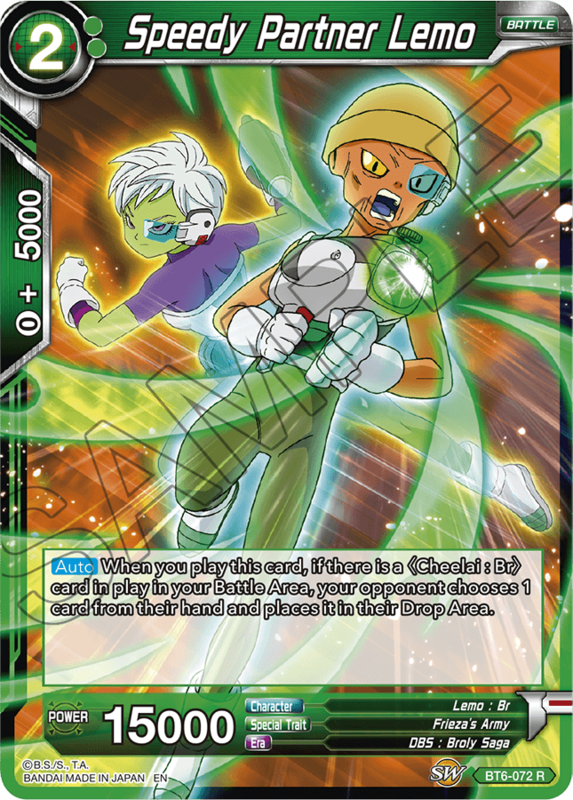 Let’s take a look at a few green cards from series 6! 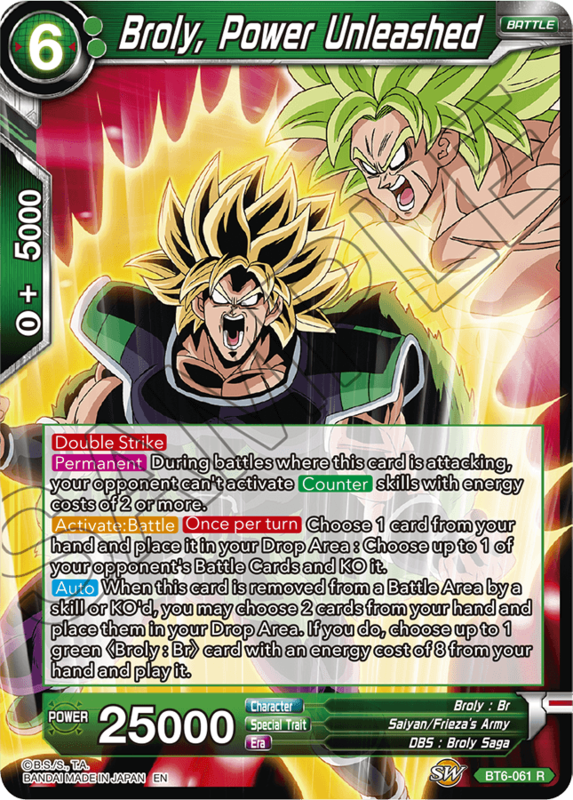 Green in series 6 is mostly focused on Broly!! 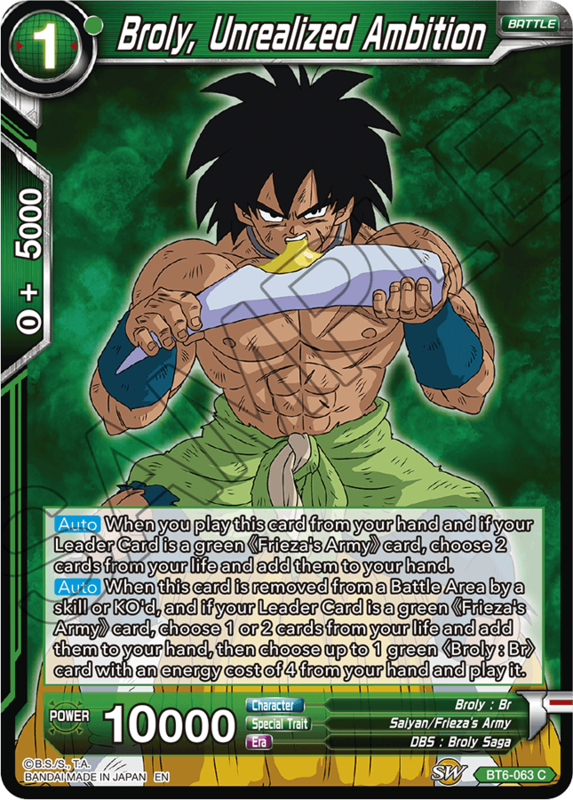 If you’re looking for new cards for your Broly Deck, look no further! 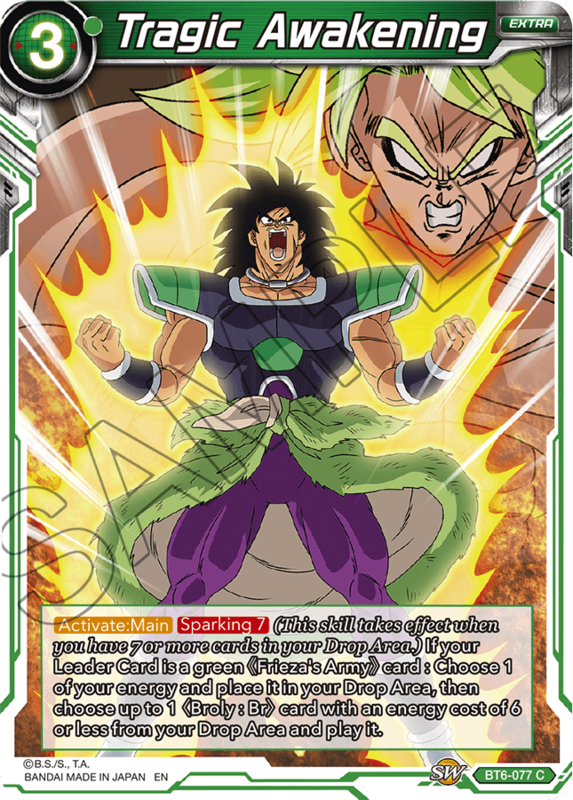 Broly's father shows up in this set as a new Leader! 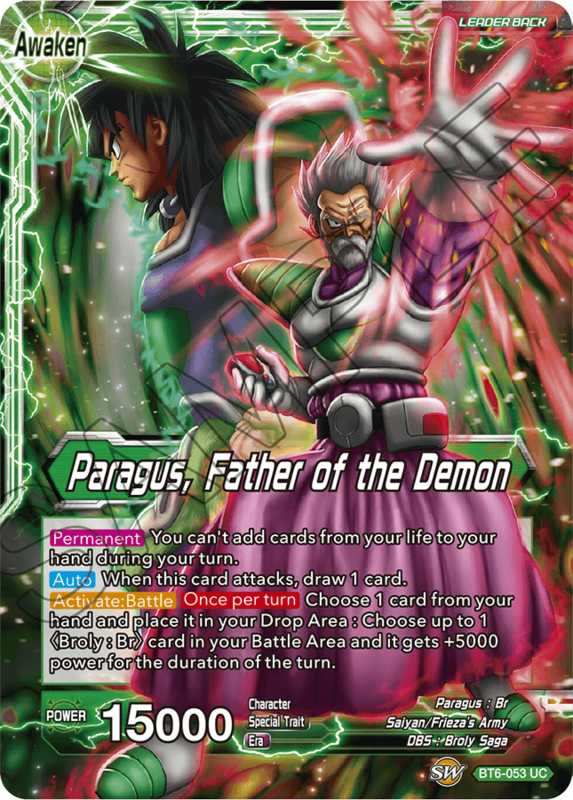 At first, it might be unclear how to use him. 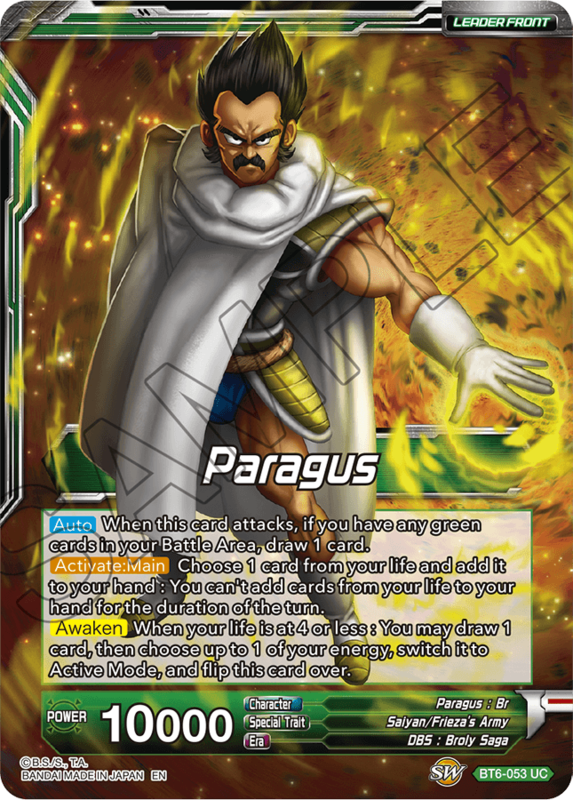 But by using him in combination with Broly, he becomes quite powerful! 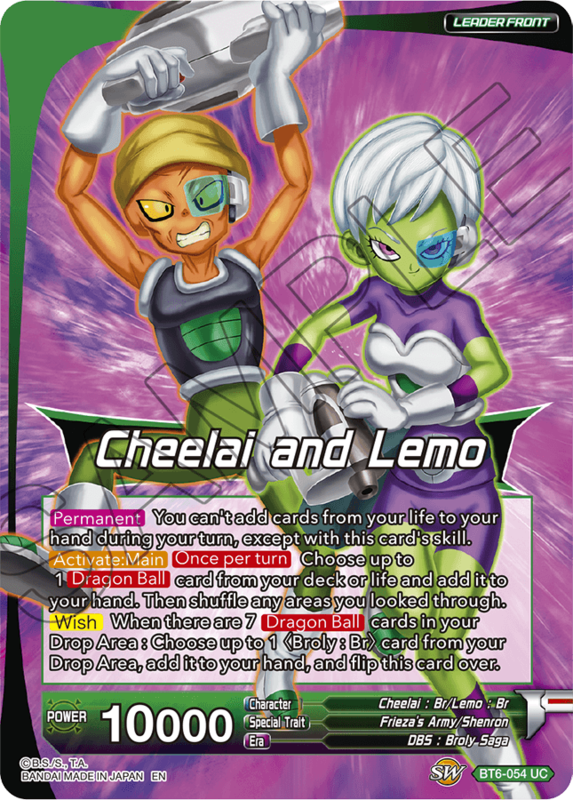 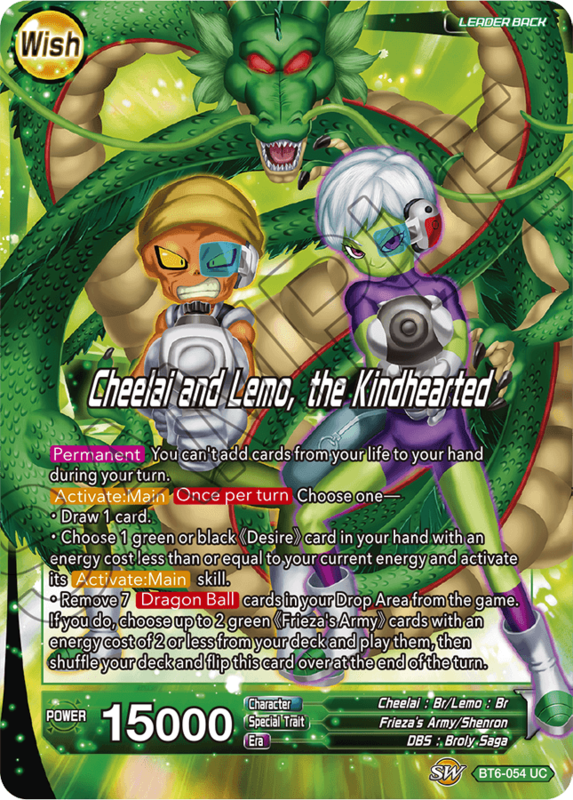 Cheelai and Lemo from the new movie team up as a Wish Leader! 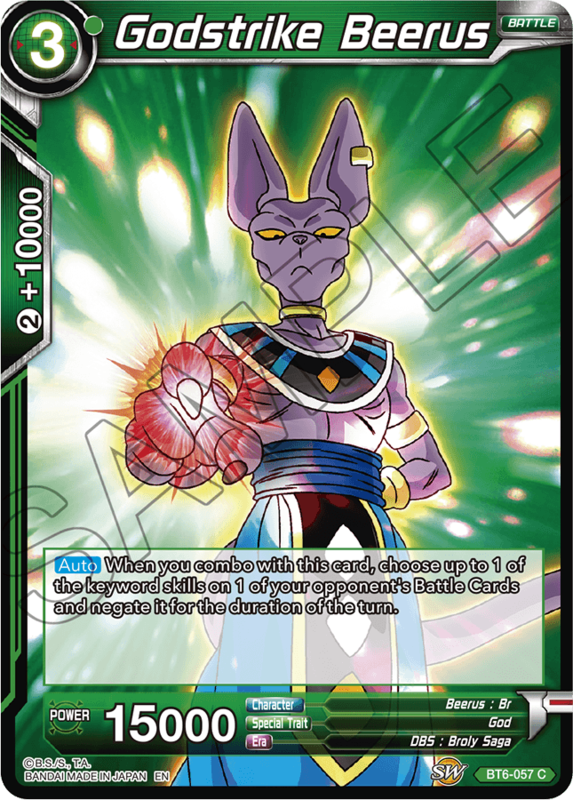 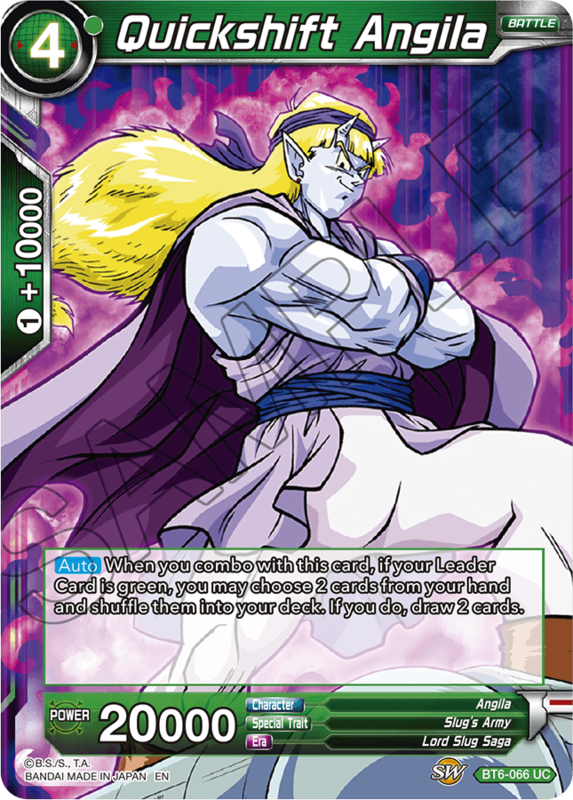 Their effect helps you make use of the Frieza's Army cards in your deck! 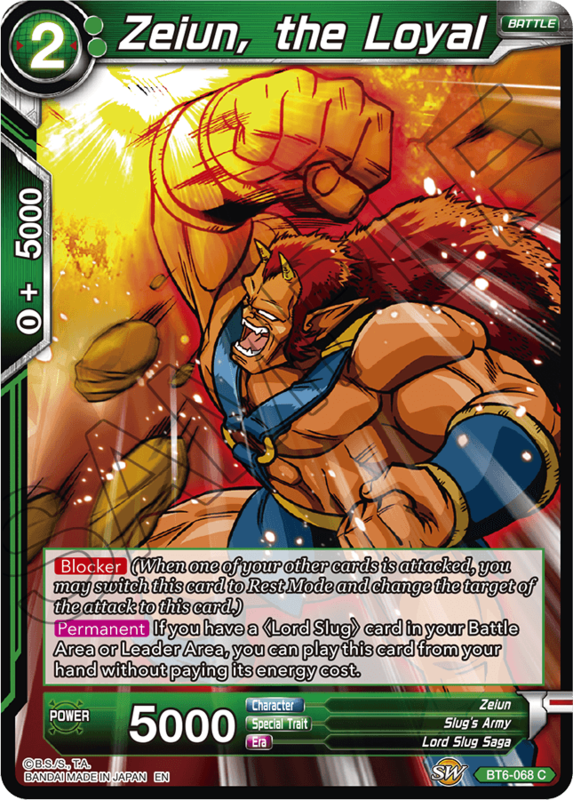 Adding Broly in his Full Power form to your deck makes your setup even more fearsome! 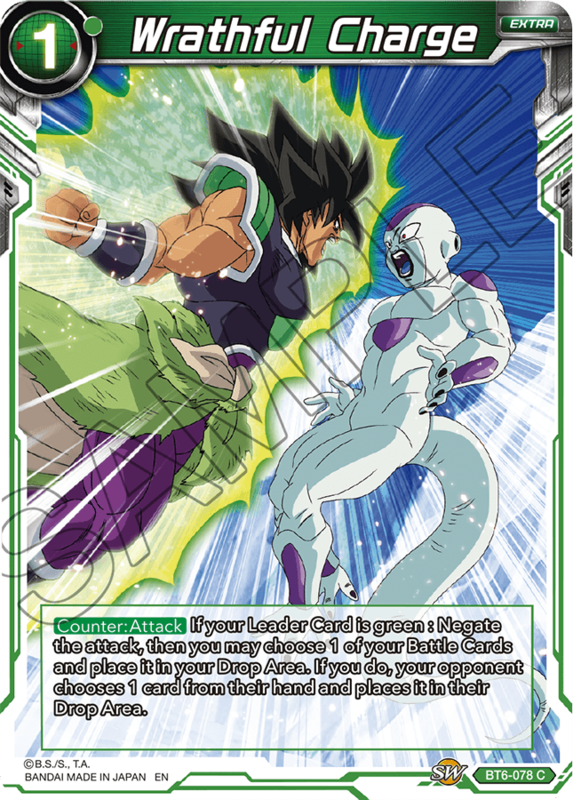 Even scarier, both the new cards have an Activate : Battle skill that can KO your opponent's Battle Cards! 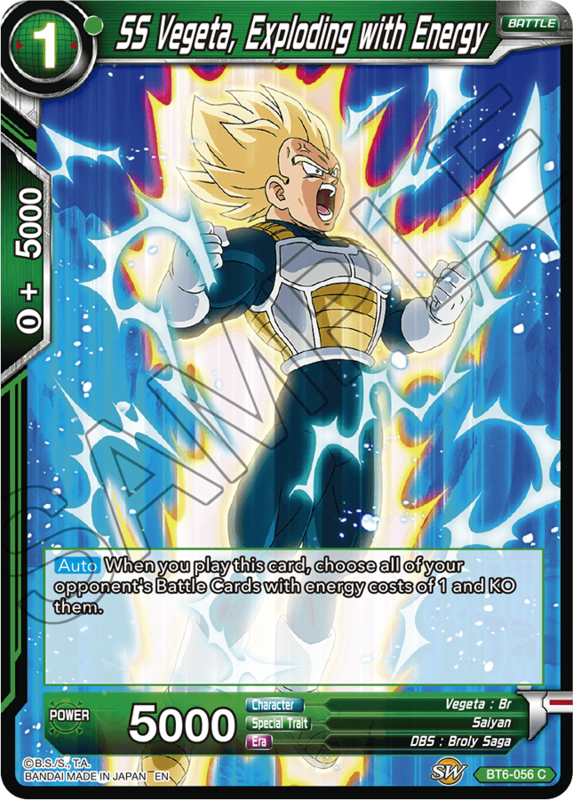 There's plenty of amazing new support cards in this set! 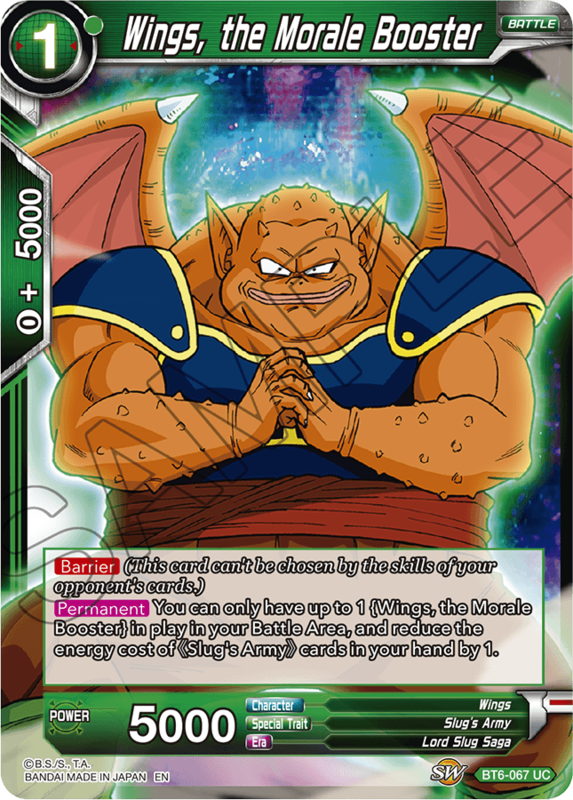 Old Themes Get Support, Too! 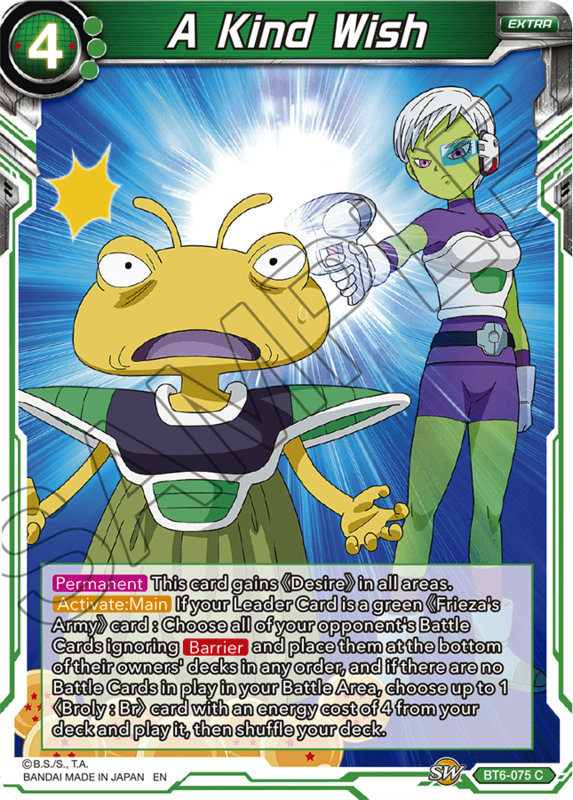 We've got support for older cards, too, including Slug's Army cards that may prove useful in new deck archetypes! 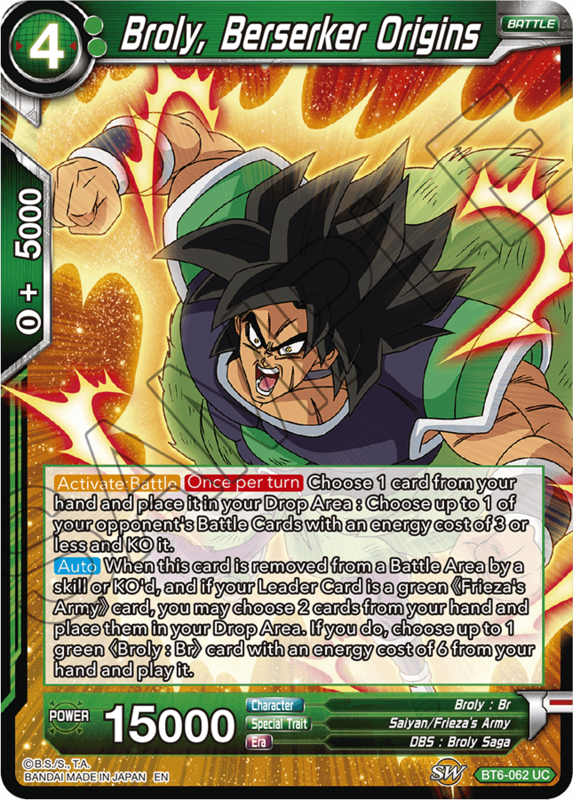 Many Extra Cards support Broly, of course, but there’s plenty of support for new strategies, too! 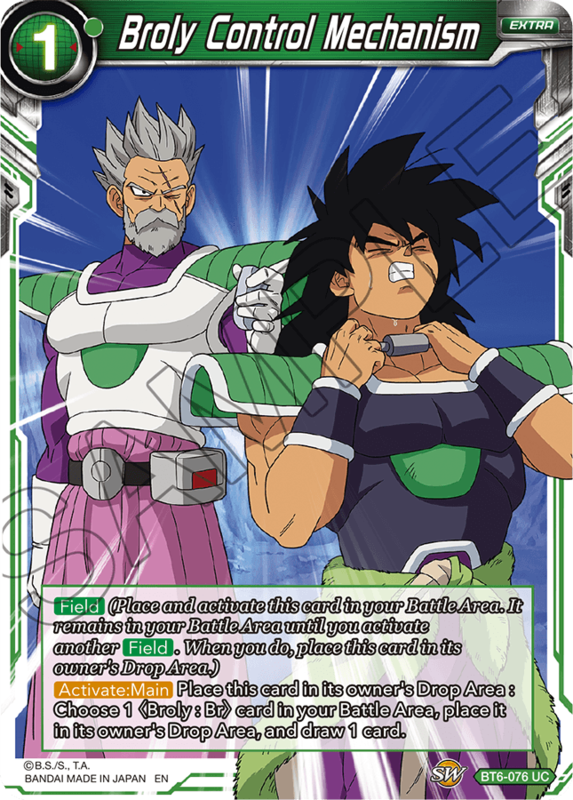 The green cards in Series 6 enable the creation of entirely new Broly Decks! 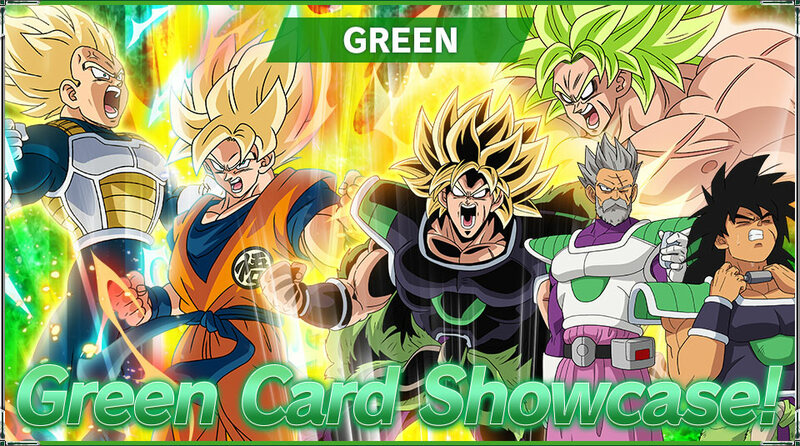 And by using cards from earlier sets, players will be able to make the strongest green decks ever!